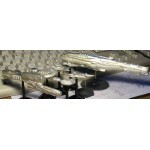 This 1:3125 scale variant of the Coventry class adds more volume to the hull and nests the navigat..
*****PRE-ORDER*****This 1:3788 scale variant of the Coventry class adds more volume to the hull and .. 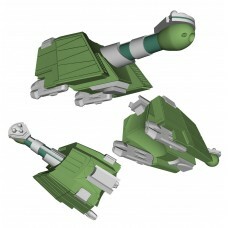 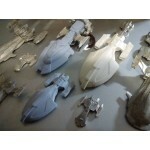 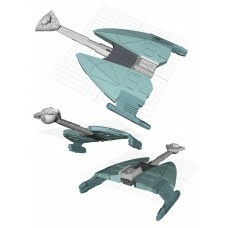 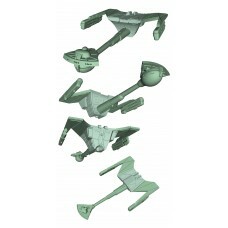 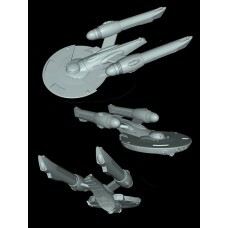 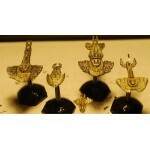 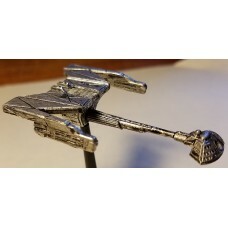 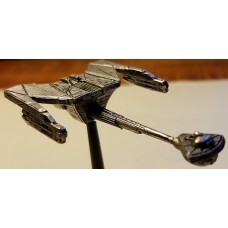 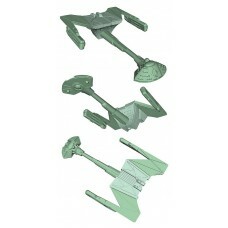 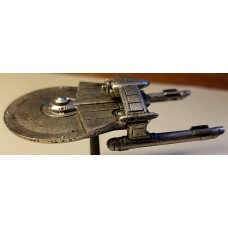 The 1:3125 scale Arrow Scout is cast in no lead pewter in three parts, ~1-7/8"L x 7/8"W x 3/8"H (47..
****PRE-ORDER****The 1:3788 scale Arrow Scout is cast in no lead pewter in three parts, ~1-1/2"L x 1..
****PRE-ORDER****This 1:3125 scale Bonny Heavy Destroyer share many of the same physical features of..
****PRE-ORDER****This 1:3788 scale Bonny Heavy Destroyer share many of the same physical features of..
A veteran design of the Great-War, the Coventry class is a true yeoman of the fleet, being an exce..
****PRE-ORDER****A veteran design of the Great-War, the Coventry class is a true yeoman of the fleet..
Martin Evans designed this D-10 to have big hangar doors in both the dorsal and ventral positions ..
****PRE-ORDER****Martin Evans designed this D-10 to have big hangar doors in both the dorsal and ven.. 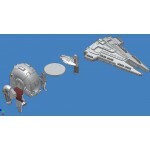 This 1:3125 scale D18-A Frigate (with the standard head-stock) is a deadly little ship that leads ..
****PRE-ORDER****This 1:3788 scale D18-A Frigate (with the standard head-stock) is a deadly little s.. 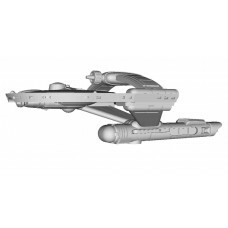 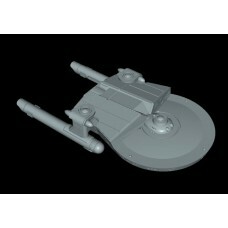 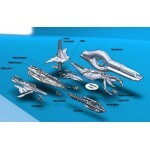 This 1:3125 scale D18-B Frigate (with the advanced head-stock) is in three parts, cast in no-lead ..
****PRE-ORDER****This 1:3788 scale D18-B Frigate (with the standard head-stock) is a deadly little s..